Daiquiris are one type of cocktail that is clearly enjoying a bit of a renaissance right now. A classic daiquiri is made with just rum, lime and simple syrup, shaken and served straight up or over a bit of crushed ice. It’s a great drink on its own and an even better base for creating other cocktails, much as a classic margarita is a good base for creating a whole range of inventive tequila cocktails. 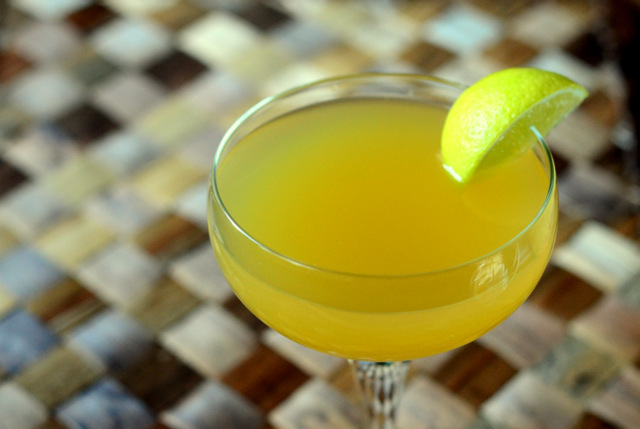 The Pineapple Daiquiri is a particular favorite of mine, as it has just the right hint of tropical fruit to make the drink seem exotic without making it too sweet. 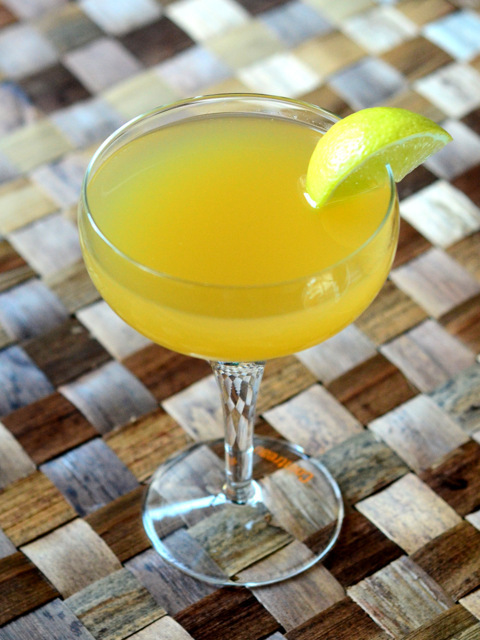 This drink starts with the same trio of ingredients found in the classic daiquiri, but adds in pineapple juice. The better quality your pineapple juice is, the better your cocktail is going to be, so don’t use anything that comes from a carton or is made from concentrate. The rich floral notes of the fruit will start to come out as you give the drink a shake. You could use white or aged rums in this cocktail, though you’re going to get the best color with white rums and I recommend sticking with them. Don Q is a popular Puerto Rican white rum that is a bit smoother than Bacardi, but white Havana Club, Angostura (an aged white rum) and any other brand that you like can be used, as well. Fill a mixing glass with ice and add all of the ingredients. Shake until chilled and double strain into a coupe. Garnish with a lime wedge, if desired.